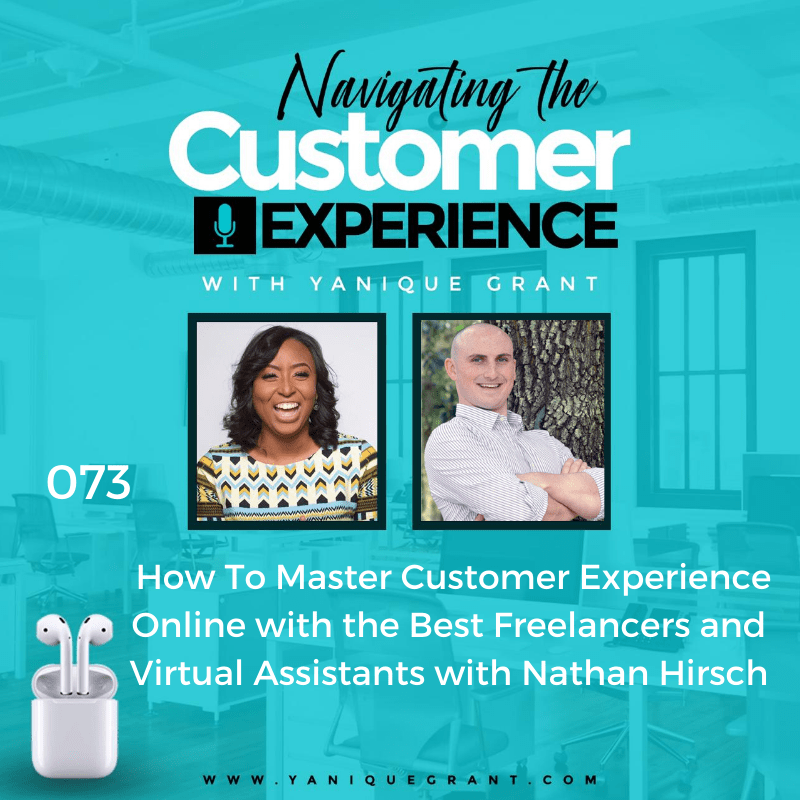 This episode Yanique Grant is going to talk about how do you strengthen a business that is struggling and how does customer service play the role in that business. You have a business and whether it’s an online or a brick and mortar business where you have customers physically coming into your location, at the end of the day you have customers. Let’s say your business is one in which it was really doing well, there was a time when every month sales was booming, there was not enough hands to cover the amount of business that was coming in and for some reason, things start to struggle, there are many different reasons why your business will start to struggle, however, Yanique thinks that before you decide how you’re going to approach fixing this challenge or moving forward as it relates to getting your business from struggling to getting things right, one of the main things as a business owner that you really should do is review what worked well when things were good, so it’s always a great place to start. Look at your sales and marketing initiatives when your business was good, how are you retaining and servicing your existing customers, how are you attracting new customers, was your product adding value at a time when it was needed most, has the market needs changed since then, if it has, what have you done to adapt and adjust your own product offerings? Look at your team, did you have key team players that are no longer there, have you been working with your team to ensure that they are fully equipped with product knowledge, so we know in the sales cycle product knowledge is the first step but there are many other things that create that or build that relationship with the customer and because it’s so expensive to acquire a new customer and it’s much cheaper a customer that has done business with you already, it’s important to recognize, “What did we do well, what were the key indicators that would have identified that this relationship went well, the customer got value out of the experience, how can I repeat that so that the customer will come back again?” If a once successful business is struggling, it’s almost always a people related issue, not financing, not capital, it’s always an employee issue, a management issue or even the owners, somewhere along the way something broke, now there’s a disconnect between the owner’s concept and what people did that with that concept, the problem maybe entitlement, complacency, laziness or even ego, eventually between the reality of the market place and the company’s ability to act within that reality something fractured until it was too late, so always start with the people because it’s always about the people. As the business owner, you should always be reviewing what works well and what does not, auditing your best practices and making sure that they are aligned with your goals and of course ensuring your clients are satisfied and will return again, it’s just so important. Customer service is so important in a business, whether you’re a small business, a medium business or a large business, your customer can make or break your business. From the owner to the employee that is the first point of contact, everyone should be operating with the customer first in mind. The customer service landscape is constantly changing and now a day’s customers are very informed because of this age of information, right now whether you have tablet or a phone or you have a computer, the information is right at the tip of your fingers. Everyone in the business needs to have clear understanding of the customer lifetime value, the CLV and what it means to lose one customer, how much money are you throwing away when the customer never returns and tells 50 or more people which will influence their decisions for future purchases. The reality is if there is no customer, there’s simply no business, even if it’s an online business or a face to face business, you need the customer for the business to operate, you need somebody to buy your product, you need somebody to buy your service. The experience that the customer has is critical for the revival of any business, so if you’re struggling and you’re not focusing on customer service, you’re not focusing on the experience, you’re just focus on collecting the money and you’re not focusing on whether or not what the customer is getting is actually what they want then you’re actually creating more problems for the business. Customers want to be business with companies that make it easy, they all desire an effortless experience, so as a struggling business, one of your most important matrix should be customer service and some simple reasons why you should pay keen attention this includes: 1) Customer retention is far less expensive than customer acquisition, on average it cost approximately 5 times more to attract a new customer to your business than it cost to retain an existing customer. 2) Existing customers are more likely to buy from you than new customers, the probability of selling to new customer hovers in the range 5% to 20%, whereas selling to an existing customer resides in the range of 60% to 70%. 3) Excellent customer service improves public persona and strengthens your brand; the reputation and strength of your brand is highly dependent on a high level of customer service. 4) Word of mouth advertising is the best kind of advertising that money can’t buy. So, you want your customers to be selling your business, the reality is to get a 30 second advertisement during primetime is extremely expensive, to put a full-page advertisement in your local newspaper is as expensive as TV if not more and so if your customers can leave and they can tell 5 people about the great experience they’ve had and how your product is amazing, if it’s a hotel, “Oh my goodness, I would go back again.” If it’s a phone, “It’s amazing, it’s really good, the battery last long, the service is good when I call the manufacturer, they’re very receptive, they answer my questions, they are able to fix my issue in short frame of time.” If it’s your web developer or your web hosting provider, if your website goes down or if there is any issue you can call them, they answer the phone, you get live person, it’s not a situation where you can only speak on web chat which is so frustrating because you have to be typing out everything that you’re experiencing and you’re not actually physically speaking with a live person in a voice call, all of these things contribute to the customer’s experience. So, you cannot buy word of mouth advertising, the kind that can have a monumental effect on a business because it’s priceless, people are considerably more likely to listen to advise of a friend than they are to heed the guidance from some online reviewer and advertisement that you paid for. 5) Great customer service will open doors for new partnerships and other opportunities, treating your customers like gold is infectious it opens the door for new partnerships especially when other businesses see just how well you take care of your existing customers, you’re setting the mark, you’re being the innovator and people are going to want to emulate you and follow what you’re doing. It says a lot about a company and what they value when they care deeply about their customers and not just their external customers but also their internal customers, their employees. It’s something that you rarely find in businesses these days but it most certainly paves the way for powerful partnerships, collaborations and other opportunities. So, these are some basic things that you can do if you’re a struggling business and you’re really trying to revamp and re-engage and come back out into the market place and bring your business to a level where it can survive. Customer service is not for the faint of heart, it requires a lot of energy, it requires a lot of engagement and it requires you to be authentic and genuine. The customer can sense if you’re just there to collect money or if you’re really there to be there partner so that you can help them grow and you can look for opportunities to give them suggestions, you look for opportunities to save them money, you look for opportunities to make them money, it’s a partnership, they help you, you help them, it’s not a one way giving activity, it’s a 2-way street where people give and people receive equally and we just have to be focused on that. Your business can be revived and customer service plays and integral role in strengthening your business if it is struggling. One of the things that Yanique wants to challenge you from this episode is, we’re just moving into the end of the first quarter of 2018, think about the customers you’ve serviced since the year as started, have you added value to that experience? will they come back and buy again? why will they come back and buy again? and would you consider yourself to be a market leader in your industry, one that innovates, one that creates an effortless experience, ask yourself these questions, really think about when you were doing well, what you were doing well, is that you had a team member on board that was there that’s no longer there, can you invest more in the teams members that exist in your organization currently, what can you do differently to create that experience that will cause your customers to leave and say good things about you and come back again because service is the back bone for the survival of any business, especially a business that is struggling.